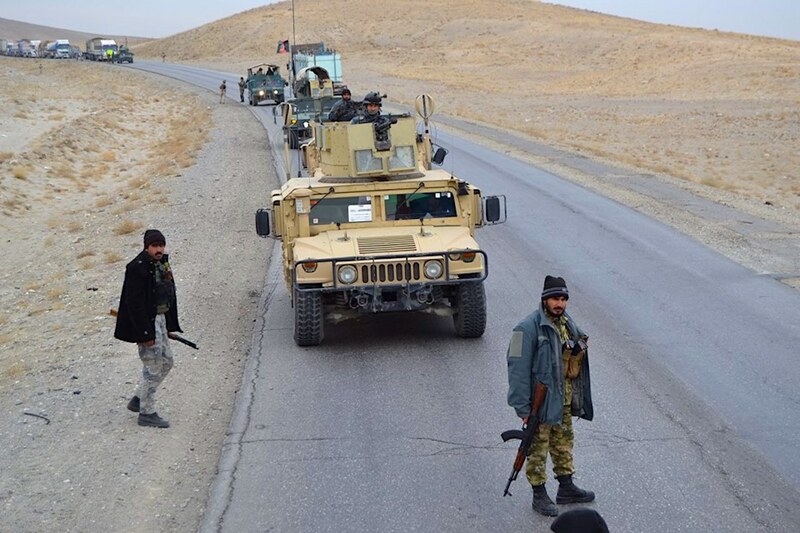 KABUL -- Afghan security forces cleared Malistan District, Ghazni Province, of militants, said the Interior Ministry in a statement Sunday (November 18). The district had experienced an onslaught by Taliban militants in recent weeks, who took refuge in civilian homes and launched days-long co-ordinated attacks on Afghan forces. The Taliban assault, which killed dozens of civilians, displaced hundreds of local residents, including women and children, during the harshness of winter. Afghan forces were advancing toward nearby Jaghori District, said the statement, citing another district where Taliban violence has increased. On November 8, Taliban militants set fire to civilian houses after launching a pre-dawn attack on two checkpoints manned by local pro-government forces in Jaghori District.